Evacuated residents are returning home. Explosions at the arms depot in Balakliya, Kharkiv Region have stopped. Some smoking is still observed in four spots but fire is not spreading, the State Emergencies Service said on the morning of 4 May. The fire was localized in the area of around 35 hectares. The situation is under control, the fire is being burnt with the help of four firefighting tanks, a plane and a helicopter. There is a temporary ban on flights in the range of 30 km and at the altitude of up to 6 km. Railway traffic via the Balakliya station has been unblocked. Evacuated residents have returned home. 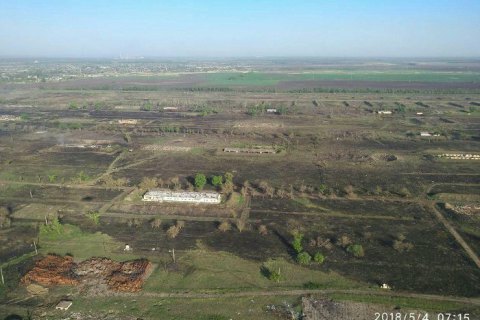 On 3 May, dry grass near the 65th arms arsenal of the Defence Ministry in Balakliya caught fire, causing single explosions of ammunition. There were no casualties.